How can I tell if my attorney is going to treat me fairly? - GDP, P.C. 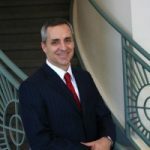 Brad Denton, Attorney from Gunderson, Denton & Peterson, P.C. :One of the things clients wonder about is, “How can I tell if my attorney’s gonna treat me fairly?” That’s a challenging thing when you’re trying to decide which lawyer to pay. And one of the best ways to find that out is from former clients, especially long-time clients. People who are willing to talk about how they’ve been treated, sometimes people who leave online reviews. The length of the experience is important for lawyers. It does matter how long this lawyer’s been practicing law. And one thing to ask is your whether your lawyer will talk to you about his or her bills for free. And it’s surprising how many lawyers out there expect to be paid when a client calls up to ask about a bill and they wanna bill you for telling you why they billed you, what they did. We would never do something like that. One thing that you can look at to determine whether you’re being treated fairly is how well your lawyer keeps you apprised of what’s going on. Are you included on the strategy? There’s no need for things to be hidden from any client. Legal issues can be complex, but the lawyer’s job is to break those things down. There’s nothing in the law that’s too complex for a client to understand and a lawyer should be able to break things down into plain language and explain them to their client. That’s what lawyers are for, that’s why we pay them, and that’s the way we try to treat our clients to make sure that they always know exactly what’s going on in their case. And they never feel like there’s a risk that they might not be treated fairly. Arizona Attorney » Legal Blog » Litigation » How can I tell if my attorney is going to treat me fairly?